As the hackers known as Fancy Bears revealed medical information attributed to Olympic gold medallist Fabian Cancellara and Tour of Britain winner Steve Cummings on Friday afternoon, Bradley Wiggins found himself still embroiled in a heated debate about his own use of TUEs. As we reported last week, both former Sky rider Wiggins and current Sky superstar Chris Froome were subject to detailed scrutiny in the media and online following the release of documents obtained by a hack on a World Anti Doping Agency (WADA) database, showing that both Tour de France winners had taken banned substances with a therapeutic use exemption or TUE, the method by which professional athletes are permitted to use such medications to treat ongoing conditions such as asthma. Chris Froome had previously spoken about his use of TUEs when his 2014 prescription for prednisolone was revealed. Earlier this year, the three time TdF winner had spoken to The Scotsman newspaper about using TUEs, which he confirmed he had done twice in his career, once in May 2013 for 5 days at the Critérium du Dauphiné, and again for 7 days during the Tour of Romandy in 2014. Both TUEs were UCI approved as part of the treatment for Froome’s asthma. Addressing the recent WADA hack, Froome shrugged off any controversy. “I’ve openly discussed my TUEs with the media and have no issues with the leak, which confirms my statements”. Wiggins however was not so lucky. The controversy surrounding his TUEs centred around claims made in his 2012 autobiography ‘My Time’, in which Sir Bradley wrote that he had never received any injections in relation to his cycling career. The leaked WADA information appeared to tell a different tale, showing that, alongside a host of TUEs for asthma medication such as salbutamol and formoterol, Wiggins had been granted TUEs for injectable Triamcinolone Acetonide, used to treat a pollen allergy. A statement was hurried out on behalf of the former Sky man, claiming that the rider had been referring in his autobiography to the use of “illegal intravenous injections”, not approved intramuscular injections such as triamcinolone. This statement did nothing to quell the furore. Some felt uneasy that Wiggins had not made any direct comment, choosing instead to communicate through his press team. Others felt that, by drawing attention to the difference between intravenous and intramuscular treatments, the statement was addressing the public as if they were fools, and was also starting to appear as a case of ‘one doth protest too much’. Photo: Wiggins on Stage 7b of the 2016 Tour of Britain. Questions were also asked over Team Sky’s relationship with disgraced doping doctor Geert Leinders, who was hired by the team during the 2011 and 2012 seasons, when Wiggins was approaching the pinnacle of his road career. Leinders was banned from working in sport for life after he was found to have committed serious anti-doping violations when working for the Rabobank team. Whilst there have never been any allegations of doping stemming from the doctor’s time at Team Sky, a USADA report compiled as a result of the 2012 investigation into Lance Armstong claims that Leinders administered, possessed and trafficked a host of banned substances including EPO, testosterone and corticosteroids for Rabobank riders during his tenure as the team. Leinders was also accused of administering blood transfusions to Rabobank team members. Forced to address his relationship with the Belgian doctor, a spokesman for Bradley Wiggins explained “Brad has no direct link to Geert Leinders. Leinders was ‘on race’ doctor for Team Sky for a short period and so was occasionally present at races dealing with injuries sustained whilst racing, such as colds and bruises. Leinders had no part in Brad’s TUE application”. Again, the statement did nothing to quell the rising tide of voices questioning Bradley Wiggins. Four years on from the outcome of the Lance Armstrong investigation, fans are wary of being taken for fools yet again. Releasing statements through spokespeople instead of directly addressing the matter as Froome chose to do, has prolonged the sense of unease. By refusing to answer questions about his conduct in person, many have decided that Wiggins must have something to hide. In the face of the ongoing storm, Wiggins has been forced to try a different approach to cease the clamour, by appearing on national TV on Sunday morning as part of the Andrew Marr Show. Following yet another Olympic medal haul for Team GB in the velodrome at the Rio games, Wiggins should be on our screens celebrating the close of a fantastically successful career as one of Britain’s most decorated Olympic athletes. Instead he faces the long, drawn out hangover from the Armstrong era. As the controversy rumbles on with no sign of slowing, former UK pro cyclist and anti-doping campaigner David Millar told The Daily Telegraph that in-competition use of triamcinolone should be banned, and that there should be complete transparency surrounding the use of TUEs. Millar, who himself was handed a suspension from the sport in 2004 for admitting to the use of performance enhancing drugs, claimed that triamcinolone, brand name Kenacort, was incredibly powerful – even when compared with more well known performance enhancers such as EPO. “I took EPO and testosterone patches” explained Millar, “and they obviously produce huge differences in your blood…you felt at your top level. Kenacort though, was the only one you took and three days later you looked different. It’s scary because it’s catabolic so it’s eating into you. It felt destructive. It felt powerful….if it’s that strong, we shouldn’t be allowed to take it unless there is a serious issue. And if we’re suffering from that serious an issue, we shouldn’t be racing”. Millar went on to say that he couldn’t “fathom” why doctors would be prescribing such a powerful drug before races. “We shouldn’t have to face this”. Sir Bradley may well be thinking “we shouldn’t have to face this” each time another armchair detective on Twitter claims to have known all along that there was something afoot at Team Sky. Whilst the UCI condones the use of TUEs, many so-called cycling fans are whipping themselves up into a frenzy over the WADA leaks, forgetting that Wiggins et al had explicit approval from cycling’s governing body to take the medication listed on their TUEs. Taking an approved drug to treat a recognized condition is not the same as systematic and sustained doping. Just like that colleague who is always ‘ill’ on a Friday, there are probably those who take advantage of the system, just as there will be those who follow the TUE procedure to the letter. The release of this information does not mean that any of the cyclists named by Fancy Bears have done anything wrong. Establishing how to manage the TUE system so that it is fair to everyone should form part of the UCI’s approach to building a successful anti-doping programme. Meanwhile, one of the UK’s previously best-loved sportsmen is caught in the cross-hairs, facing a fight for his reputation. Mark Cavendish, Steve Cummings, Ian Stannard, Geraint Thomas, Adam Blythe, Alex Dowsett, Luke Rowe, Scott Thwaites, Dan McLay and Ben Swift. Eight riders from the list will make the final confirmation, with two also competing in the individual time trial. Lizzie Deignan (formerly Armitstead) Hannah Barnes, Alice Barnes, Dani King, Laura Massey, Annasley Park, Abby-Mae Parkinson, Hayley Simmonds and Eileen Roe. Hannah Barnes and Hayley Simmonds will compete in the women’s individual time trial. Gabriel Cullaigh, Scott Davies, Jon Dibben, Chris Latham, Tao Geoghegan Hart and James Shaw. Two of the above will be selected for the U23 time trial. What with all the excitement of Cycle to Work Day and the GP Wallonie on Wednesday, you could be excused for thinking that Freewheeling had missed the start of the Trittico Lombardo. Not so! Here’s our race reports for the Coppa Bernocchi and Coppa Agostoni. Traditionally held over three consecutive days – although not anymore – the Trittico Lombardo is an important series of events in the Italian race calendar. Last year Vincenzo Nibali took both the Coppa Bernocchi and Tre Valli Varesine, with fellow countryman Davide Rebellin winning Coppa Agostoni. As a staple of the Italian season, you’d be mad to bet against a winner from that country securing victory. Part one of the 2016 Trittico, Coppa Bernocchi took place this year on 14th September. Founded in 1919 by businessman Antonio Bernocchi, Coppa Bernocchi has seen 85 Italian winners from almost 100 editions. In a sea of green, white and red, Steve Cummings’ 2008 win whilst riding for Barloworld leaps off the page. The 2016 edition, taking place five days before Sunday’s European Championships, was an excellent way for the Italian national side to spin their legs in race conditions. Starting in Legnano, the race took in seven laps around Olona, which included a climb of Piccolo Stelvio, before flattening out, creating perfect conditions for a bunch sprint. An eight man break managed to establish a 4 minute lead before the Italian national team – featuring Olympic gold medallist Elia Viviani, reeled six of the leaders back into the pack. The two riders still off the front, Riccardo Viela (Caja Rural-Seguros RGA) and Vitaliy Buts (Kolss-BDC Team) were joined by three Italian riders on the last of the seven laps, including Sonny Colbrelli of Bardiani-CSF. 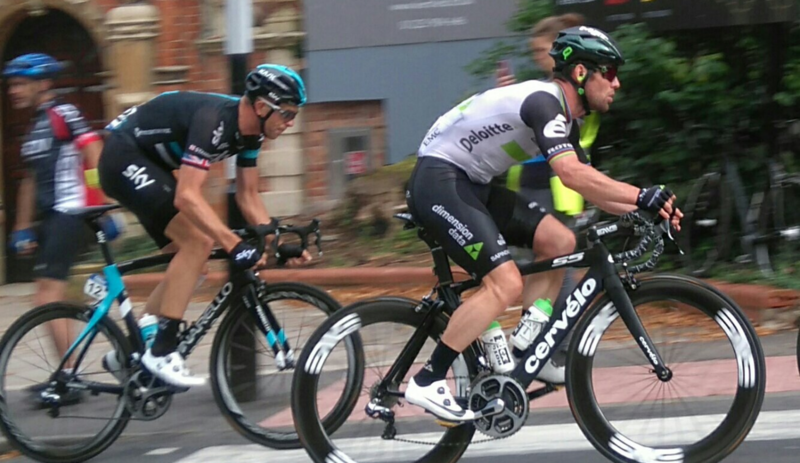 Colbrelli launched a surprise attack, which was neutralised when the bunch came back together with 15km to go. 24 hours later, the riders gathered at the start line for the Coppa Agostoni, a race held in memory of the Italian cyclist Ugo Agostoni, a winner of Milan-San Remo before his death in World War 2. As with the Coppa Bernocchi, the race palmarès is littered with Italian winners. The 2000 victory for the German Jan Ullrich, followed two years later by a French win for Laurent Jalabert, stand out as anomalies in an event dominated by the Italians. The race saw an early break of thirteen riders, including Alexander Kolobnev riding for Gazprom-Rusvelo. The break almost attained a full 6 minute lead before this was brought steadily down during the circuit of Colle Brianza. As before in the Coppa Bernocchi, the Italian national team were instrumental in closing the gap. The original thirteen man break was whittled down to six with 1 and a half minutes in hand. As the bunch hit the climb of Lissdo, Fabio Aru of Astana leapt from the peloton with three others, and started the chase. Aru’s attempt was ultimately swept up along with the majority of the leading riders. Benito was the lone leader for the remainder of the race before he was caught in the final kilometre. Colbrelli won the bunch sprint in a time of 5:05:57, with the lone leader Benito securing 26th. “Yesterday I wanted to try something new by attacking from a distance” Colbrelli explained of his unsuccessful attack in the closing stages of Coppa Bernocchi. “I wanted to fight back today. I was feeling well and after my teammates were second and third yesterday, we needed a win”. Colbrelli has seen a total of five victories this season, and will be joining countryman Vincenzo Nibali at the new team Bahrain Merida for 2017. The third and final race of the Trittico Lombardo, Tre Valli Varsine, takes place on the 27th of September, four days before another Italian classic Il Lombardia, pegged as ‘the final Cycling Monument of the season’. This year, Il Lombardia; also known as Giro di Lombardia, starts in spectacular scenery at Lake Como, finishing 245km later in Bergano. Look out for our race preview coming soon! After five stage wins in this year’s Tour de France and a place on the top step of the podium with Steve Cummings in the Tour of Britain, cycling fans have grown used to seeing Team Dimension Data accomplish epic feats in the saddle throughout 2016. The South African team; home to Mark Cavendish, lead-out specialist Mark Renshaw, and the aforementioned British ace Steve Cummings, have become fan favourites with their top level riders and charitable ethos – riding for Qhubeka, World Bicycle Relief’s South African programme, and promoting the Bicycles Change Lives hashtag. Yet the team’s WorldTour licence is under serious threat as a result of a feud between the sport’s governing body the UCI and the company behind races such as the Tour de France and Paris-Nice, ASO. ASO announced last year that it would pull all its races from the UCI WorldTour in 2017, as the long running battle between both organisations rumbled ever onward. Removing the Tour de France from the UCI WorldTour classification would mean the event would go ahead as part of Europe Tour, classified as an Hors Classe (HC) event. HC races cannot include a field of over 70% WorldTour teams, which, in a 22 team Tour de France, would mean only 15 WorldTour teams could enter. The remaining teams would be invited by ASO from the Pro Continental classification. The 2016 Tour de France saw 18 WorldTour teams secure automatic entry into the race. Reclassifying the world’s most prestigious bike race as an HC event would mean that at least 3 top class teams would be unable to secure a Tour slot, potentially putting sponsorship in jeopardy. In response to ongoing problems, the number of UCI WorldTour licences are being cut from 18 to 17 for the 2017 season, which is the cause of Team Dimension Data’s woes. Currently, the South Africa based team lies in 18th place in the team rankings, despite a successful 2016 season for its WorldTour debut. The team ranking positions are determined by adding up the total points of the top five riders within the team, taking the points from the WorldTour individual ranking system. Despite a successful season clocking up over 28 victories, only 9 of these will currently count towards the rankings, as the majority of wins came from races which are not part of the WorldTour series – including Steve Cummings’ yellow jersey at the Tour of Britain. The five stage wins that Dimension Data clocked up at this year’s Tour de France, arguably putting the team second behind only Team Sky in terms of Tour performance, did not add enough points to the overall total, due to the somewhat bizarre system of allocation. A top ten finish in the GC at the TdF can see a rider awarded 50 points, whereas a stage win will only rack up 20. Despite Tinkoff and IAM Cycling departing the scene at the close of the 2016 season, two Pro Continental teams are likely to be moving up to take up the vacant spots in the WorldTour grouping. Bora-Hansgrohe – star signing for 2017 Peter Sagan – will benefit from said rider’s lead in the individual WorldTour rankings. The other team looking for a WorldTour spot are the Bahrain Cycling Team, who have managed to secure Vincenzo Nibali for the forthcoming season. This leaves Dimension Data and Lampre scrapping it out for the 17th place as the racing season draws to a close. It seems a shame that both ASO and the UCI can’t come to an agreement which will benefit the sport – with sponsors less likely to lend financial support to teams that might not make WorldTour races, riders will feel less secure about their futures. Considering the huge successes that Team Dimension Data have seen throughout 2016, it is hard not to feel aghast at the suggestion that their one season as a WorldTour team will also be their last. With a handful of WorldTour races yet to be run before the end of the year, and a few riders playing their cards close to their chest in terms of new signings, it’s far from a done deal. Let’s hope for a last minute reprieve for Team Dimension Data’s sake, as well as for the good of cycling as a whole.